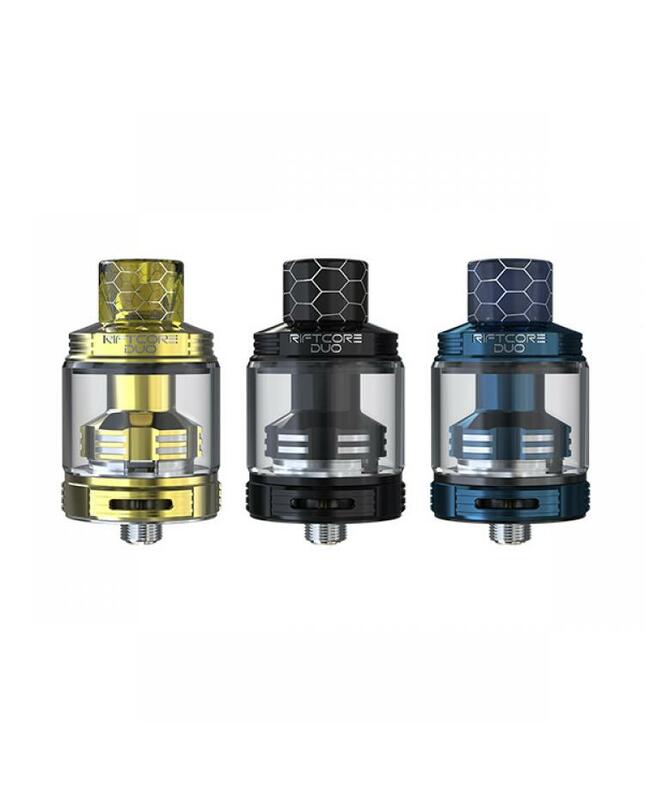 The Joyetech Riftcore Duo RDA Tank, 3 colors available, the diameter of the new sub-ohm tank is 26mm, the Riftcore duo tank can hold 3.5ml e juice, which adopts the push-to-open top filling system, simply push the top cap to reveal the filling hole, no leaking issue. 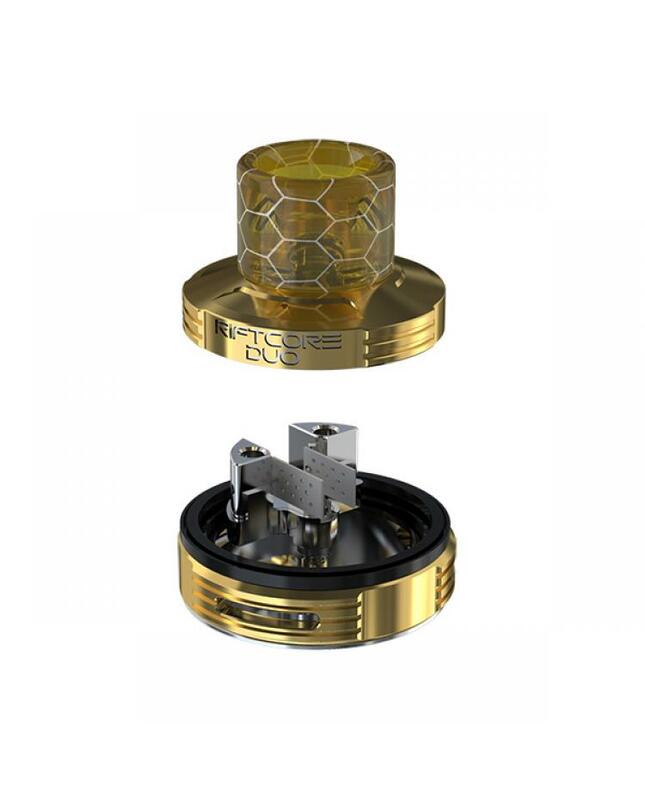 dual airflow adjustable slots on base, vapers can adjust the airflow to your preference easily. 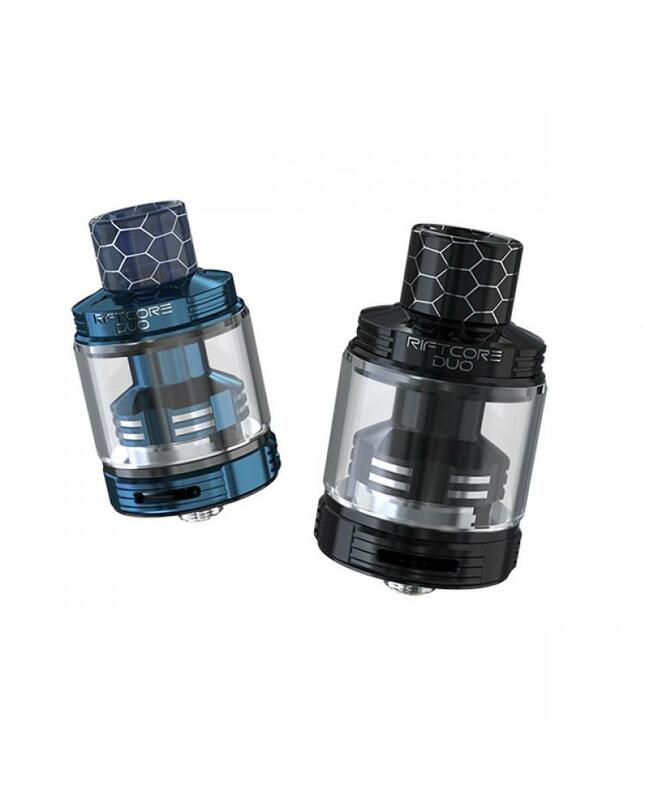 the new joyetech riftcore duo tank with innovative RFC heater, having the molecule heating technology, it heats evenly while working. 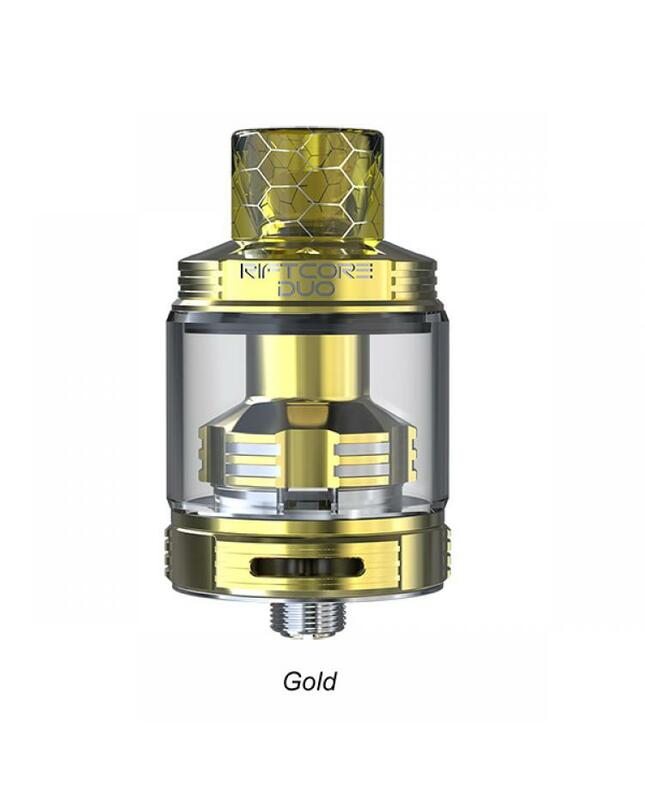 it contributes greatly to the flavor when the heating element heats evenly, that's why the heater is different.the new heating element conducts the heating very fast which enhances the vaping experience to a higher level. it is made in the USA and safely tested by independent US laboratory, feel free to use. 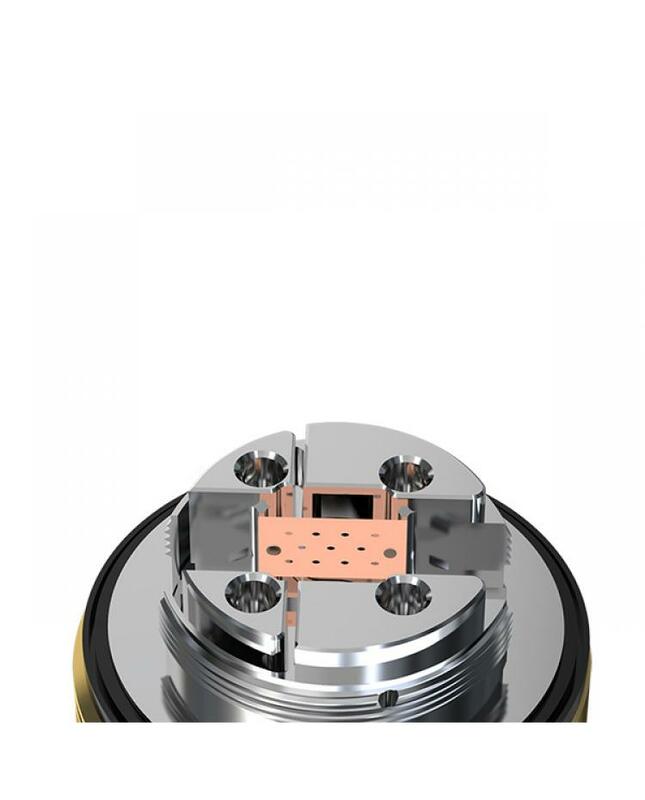 riftcore's uniform thermoconductivty and coefficient of linear thermal expansion across the molecular binding layers makes it possible to achieve a long life span. 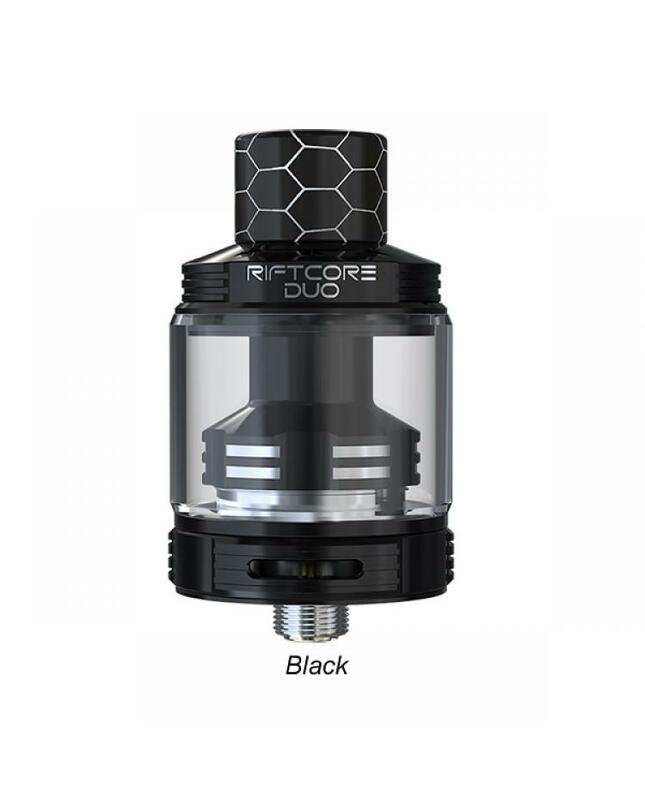 simply ignite the RFC heating element to clean the carbon deposit, all you need to replace the cotton regularly when flavor gets worse. 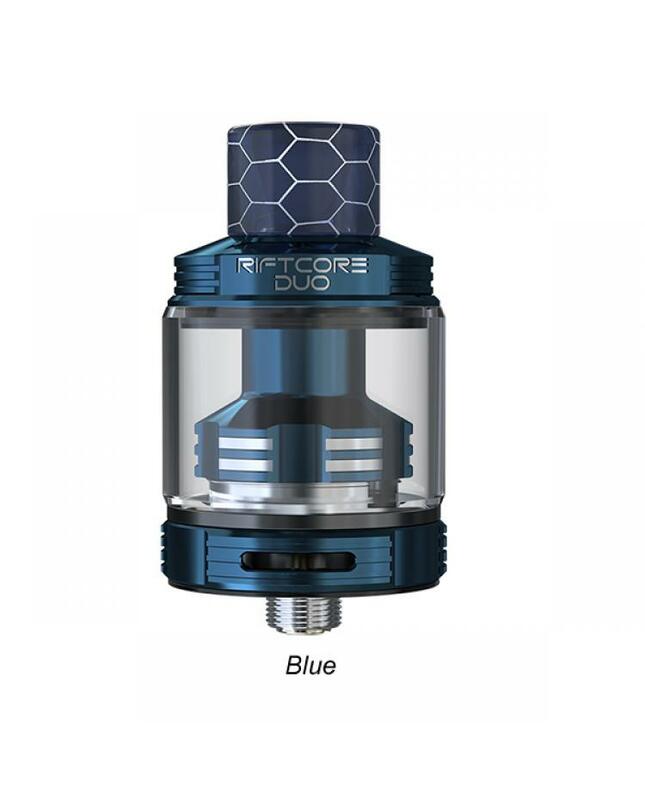 the new Joye tech atomizer get rid of the normal coil, make vaping easy for you.the new riftcore duo atomizer is designed to deliver massive vapor production.